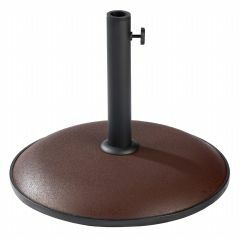 This Glencrest Concrete Parasol Base is the perfect accessory for your Glencrest Sturdi Parasol. 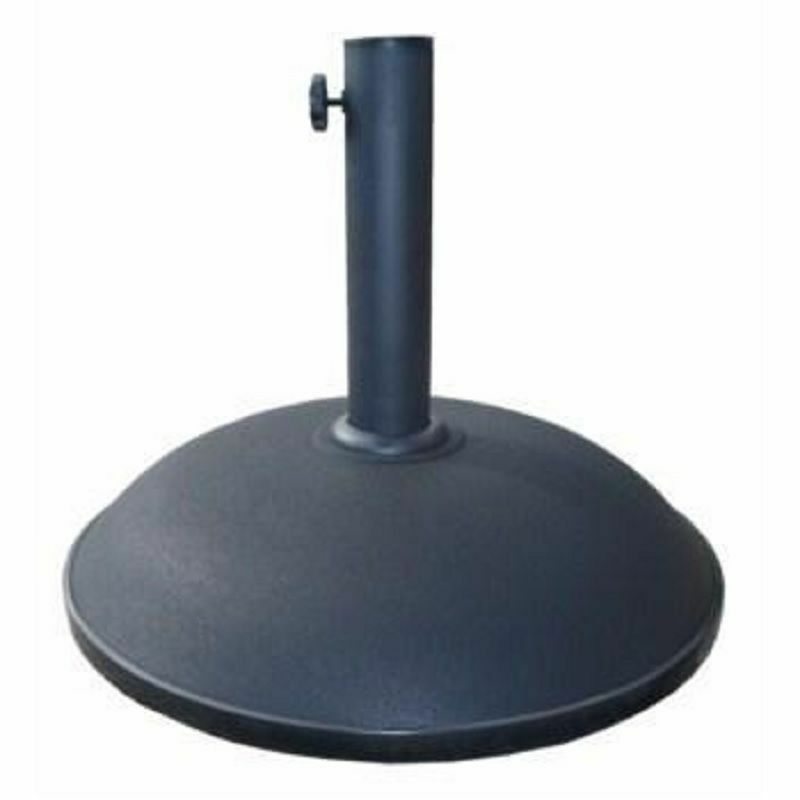 This Glencrest Concrete Parasol Base is ideal for securing your parasol in place. 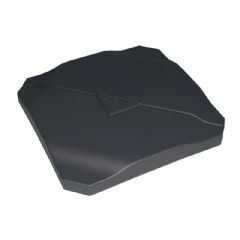 It is made from a Black Concrete. 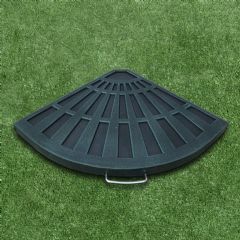 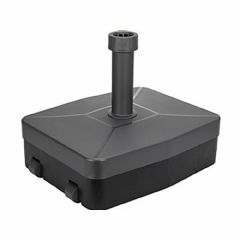 Located underneath the base you will find 4 rubber feet, these help to cushion the base when it is placed on a hard surface such as gravel, concrete or decking. 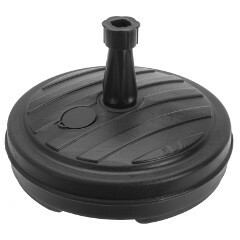 This parasol base contains a hole for a thumb screw which tightens to secure the parasol in place. 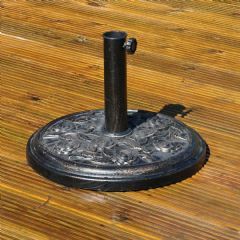 This parasol base is suitable for all parasols with a stem or centre pole up to 48mm diameter. 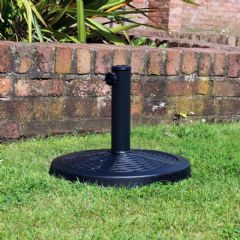 The base contains 3 plastic rings which can be added or removed to suit your parasol pole. 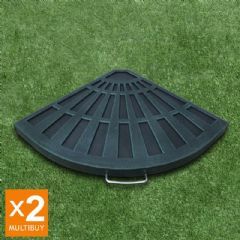 Most parasol poles are between 38mm and 48mm. 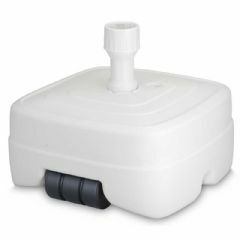 Comes in a colour box.